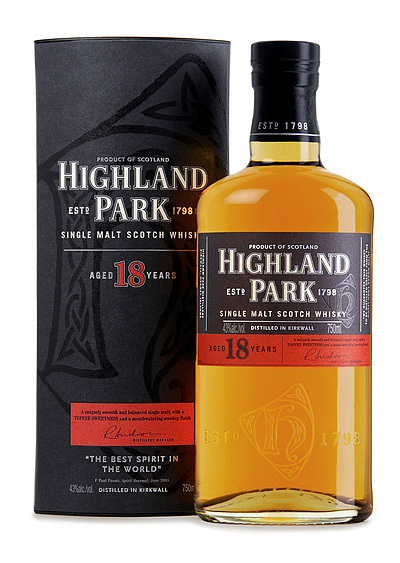 The Highland Park 18 Year Old is one of five inductees to the Spirit Journal Hall of Fame. Since 1991, F. Paul Pacult’s Spirit Journal has published thousands of reviews in a snail mail, subscription-only newsletter spanning 90 editions. Founding Editor F. Paul Pacult and Managing Editor Sue Woodley describe the quarterly Spirit Journal as “a pander-free zone, free from the demands, implied and overt, of advertising dollars.” The Spirit Journal reviews and ratings have been collected in two books, Kindred Spirits (1997) and Kindred Spirits 2 (2008). By his own estimation, Pacult has formally reviewed over 21,000 spirits since 1989. In recognition of spirits brands that have consistently exhibited “extraordinary quality” over the course of numerous reviews, Pacult and Woodley have established the Spirit Journal Hall of Fame. After induction into the Hall, benchmark spirits will be “retired” from the newsletter’s annual “Top Spirits” list of five-star distillates. Each June, the Spirit Journal features the Top Spirits in the World, a list of Pacult and Woodley’s favorite five-star (highest recommendation) spirits for the year, as reviewed recently or currently in the Spirit Journal. 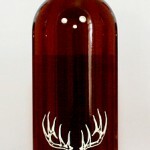 For 2011, a new number one spirit has been chosen from 140 five-star distillates: George T. Stagg Kentucky Straight Bourbon Whiskey, from the 2010 Buffalo Trace Antique Collection. The June 2011 edition of the Spirit Journal will be available to U.S. subscribers by May 28th, to international subscribers by June 3rd, and to non-subscribers by June 10th. For more information, visit www.spiritjournal.com.